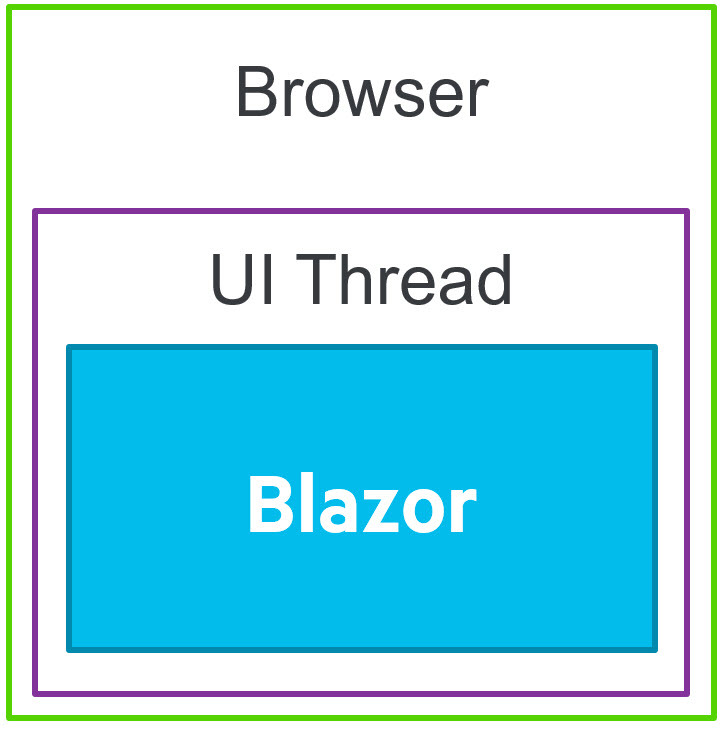 Razor Components, is what originally started as Blazor Server-Side in early 2018. Blazor is a .NET (SPA) framework that is generally associated with .NET running on Web Assembly. However, Blazor is capable of running under multiple scenarios including server-side as Razor Components. The initial offering will be small with just a few popular UI components including the Data Grid, Tab Set, and Buttons. Through customer feedback we plan to expand the number of components and rage of APIs. We believe that building to our customers needs and recommendations is the path to success. Since the ASP.NET Preview's are moving at a rapid place, it's best to update your bits. Make sure you're on the current version of Razor Components (server-side) and Blazor (client-side) since we'll be working with both. Detailed installation instructions for both frameworks can be found on the Blazor getting started page. Also be sure that you have enabled the Telerik UI for Blazor free early preview. Even if you have previously enrolled in the preview you may need to revisit this page for the latest version to appear in your feed. With this free account you'll be able to add the Telerik NuGet Package Source. Installing Telerik UI for Blazor requires just a few simple steps. First we'll need to install the package binaries. We'll be using the Telerik NuGet Package Source to install the package. If you don't have the Telerik Package Source already please see the Prerequisites section above. If you have multiple solutions in your project, install the package to the project which contains the "Pages" folder. These are the views for your application. We can use the Package Manager dialog, command line, or directly edit the .csproj file of the application. Once the Telerik UI for Blazor package has been installed, we'll need to make a reference to the components in the package. This will act as a global using statement for our application. Open the root _ViewImports file and add the @addTagHelper *, Telerik.Blazor directive. We also need to register the the library with dependency injection. This will resolve any dependencies needed by the components. In the same solution, open the Startup class and register the AddTelerikBlazor service. Next we'll need to add the CSS theme files to the application. At the time of writing Telerik UI for Blazor supports three of the Kendo UI themes: Default, Bootstrap 4, and Material Design. If you have multiple solutions in your project, find the project which contains the "wwwroot" folder. These are the static resources for your application. In the root of the project, add a file named libman.json. LibMan is a client-side library manager built into Visual Stuido (with CLI support) that will fetch static resources and save them to your project. Add the following configuration to your libman.json file. Save the file and all three component themes will be copied to your wwwroot folder. With the themes installed, reference the desired theme from your application's index.html file. Telerik UI for Blazor is compatible on the client, but currently has a known issue which requires disabling the Blazor IL Linker. Without digging into IL Linking too deep, the result of disabling it only results in a larger payload size. This is a temporary situation that will be resolved in later versions of the framework. To disable IL Linker, open the .csproj file and add <BlazorLinkOnBuild>false</BlazorLinkOnBuild> to the top most property group. That's it! Now we're ready to begin building Razor Components or Blazor applications using Telerik UI for Blazor. Locate the code for Fetch Data under the /Pages folder. Replace the entire table element with a TelerikGrid component. The TelerikGrid component binds the Data property to forecasts which is an array of the WeatherForecast object. The grid also has the Pageable, PageSize, and Sortable properties enabled. Inside of the TelerikGrid component, we define child components for each field we would like displayed in the grid. Because this is all C# code, we can set the Field property with C#'s nameof operator giving us type safety. In addition, templates can be used to display custom formats, images, and even other UI components. Here a template is used to format the Date field. The other major component included in this release is the TelerikTabSet. The TelerikTabSet supports multiple tab positions: Top (default), Bottom, Left, and Right. We can use Blazor’s bind attribute to demonstrate the tab positions at run-time. Locate the index.cshtml page under the /pages folder. Replace the page’s content with the following code. In this example we start by creating a simple select list element with all of the TelerikTabStrip position values, TelerikTabPosition.<value>. Most importantly, TelerikTabPosition is a standard C# enum type so we get strongly typed values and intellisense here. Next a TelerikTabStrip component is created with several TelerikTab components that display some weather forecast data. The TapPosition property is bound to both the select element and TelerikTabStrip through the a simple backing field tabPosition declared in @function.